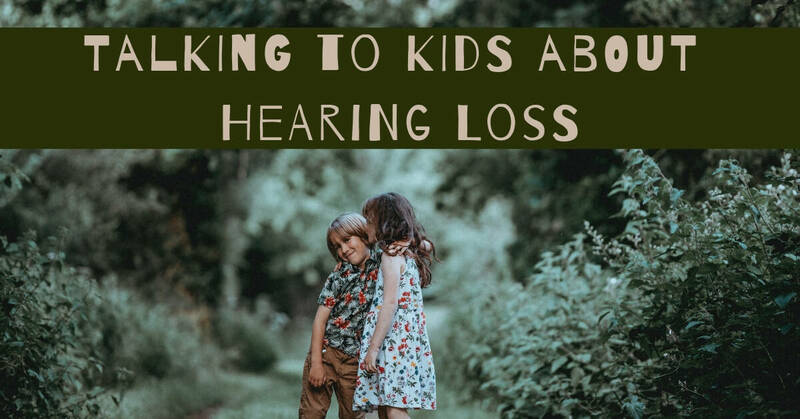 If you are a parent with a child that has hearing loss, there will come a time when you, or you and your child, are going to have to explain that experience to others. This is a great opportunity to be educational and non-judgmental, if others in your child’s life refer to hearing difficulties negatively. Turn it into a positive experience to discuss a very common physical condition affecting countless Americans. Do you have a school-aged child with hearing loss? Consider meeting with your child’s teacher to discuss hearing loss and accommodations. You may also want to include school counselors, as they have likely dealt with this situation before. It is important to establish a scenario that doesn’t make your child an object of pity or ridicule. It’s a good idea to pick an in-service day at your child’s school, or a prep day before school starts to talk to your child’s teacher and perhaps other school staff – like lunchroom monitors – if necessary. Making sure everyone knows what they need to know goes a long way to short circuit the potential for bullying or misunderstandings. Unfortunately for some, hearing loss carries the connotation of sickness. Your child should not loss out on the social interaction of school or extracurricular activities simply because of hearing loss. In some cases, it could be helpful to have a discussion with your child and their friends. Hearing loss might seem easy to explain, until you try to talk to a 6-year-old! You’ll get lots of questions like: “Should I just TALK LOUDER?” “Really? He can’t hear anything?” “What happened?” “Will I get deaf if I am near him?” Children are fascinated by different experiences, and they are adaptable. It may be helpful to talk with your child before sitting down with a group of people. There are likely things your child has been asked by peers and friends, and your child may have their own way of answering questions. They may have things they want you to concentrate on that you haven’t thought about. Listen to their suggestions so they feel a part of the discussion, too. What kid doesn’t love science? When discussing hearing loss, kids might enjoy an overview of how hearing works: the outer ear picks up sound waves, which move through the middle ear and are turned into vibrations by the eardrum; these vibrations are sent to the inner ear where they are translated into electric signals sent to the brain to be processed as sound. It could help to think about hearing loss in relation to other common experiences, such as wearing glasses. You might try having them cover their ears with their hands and then try to make out speech or music. If your child wears hearing aids, you can get some examples of the devices and let the children look at them and touch them. This will help take the mystery out of the devices. Many hearing aid manufacturers have information on their websites, including recordings of how hearing loss sounds. Bring an iPad or save the audio clips on your phone to play. There are also several phone apps that measure decibels, so you can talk about sounds that are too loud, demonstrate the different frequencies of sound, or how background noise can distort hearing levels. Share information about communicating. Don’t make it seem like the other children have to do something extraordinary: simple instructions like talking in front of your child or getting their attention before speaking will help with understanding. Hearing loss isn’t contagious, nor should it hinder a child’s academic and personal development. People with hearing loss have jobs, drive cars, play sports, act on TV, write books – you get the picture! Point out that there have been many, many successful people throughout history with hearing loss, from musicians to actors to writers to doctors to athletes. Seeking treatment brings significant benefits to one’s overall life and well-being. Kids are naturally curious and will have questions about the experience of hearing loss. Use this opportunity to emphasize that hearing loss can be treated, and that treatment helps people maintain active and fulfilling lives! Hearing loss is a common condition that affects people of all ages. It is important to have an annual hearing test, regardless of your age! At Pacific Northwest Audiology, we provide comprehensive hearing tests for people of all ages. If you are concerned about your hearing abilities, contact us today to schedule a consultation.